When you've lived in Oregon for a while, you start to do one of two things: fall in love with the rain or start to resent it. Luckily, I'm more of the former. Despite getting tired of the downpours during months that should be sunny, I do adore the rain most of the time. It's May and in most of the country, it's gorgeous - there's sun and warmth and people running around in sandals and tank tops. Here, it's still raining on and off, and feels a lot more like the start of spring. 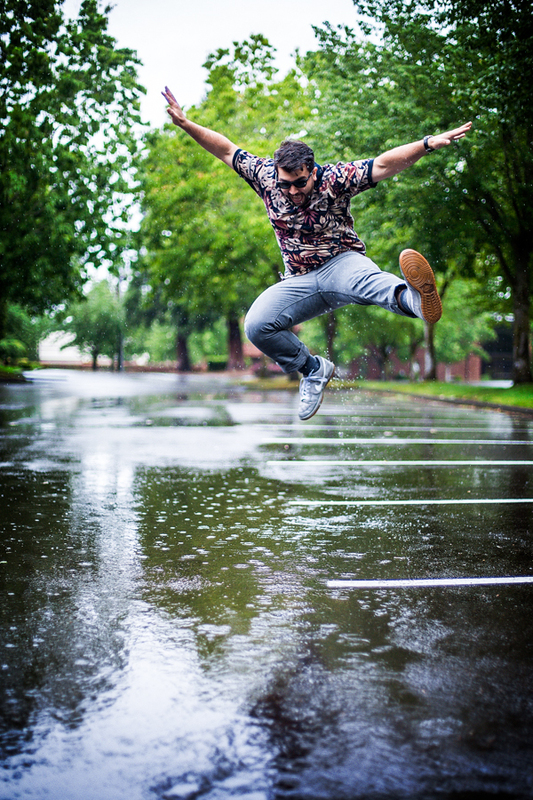 So few of my crazy Oregonian friends (Casey, Nathan and Adam) and I had a bit of a rain party last weekend! Thanks for being nuts with me!